Free Delivery Worldwide on All Orders over £15 at LoveLula! No code needed, Shop Now! FREE* LoveLula &apos;Going Green&apos; Selection Box (worth £60) when you spend £50 or more! Use Code: GREEN at checkout. *This offer cannot be used in conjunction with any other offer. Only one free gift per order *Not available with purchases of the LoveLula Beauty Box. Valid While Stocks Lasts. LoveLula brings together an unparalleled selection of the world&apos;s finest natural and organic beauty products, which are hand-picked, tested and ethically sourced. 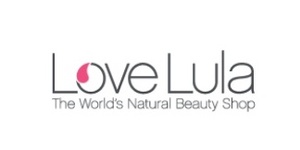 Working with over 180 global brands LoveLula are excited to offer customers the most up-to-date range of products, including skincare, bath products, makeup, haircare and babycare, along with expert personal service and the highest standards of customer care.